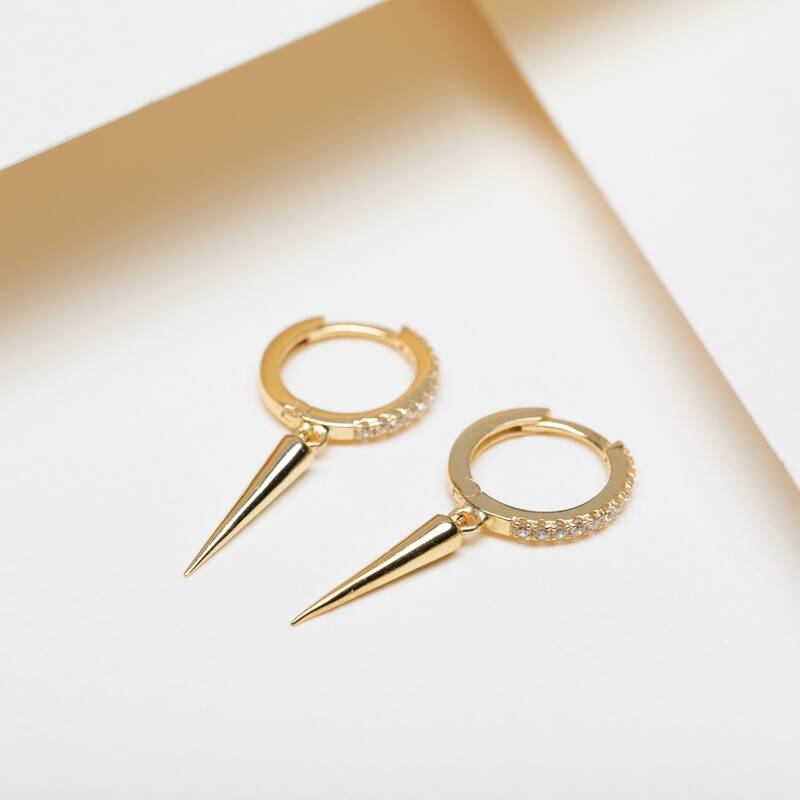 - CHOOSE if you want to add the spike dangle hoop earrings. 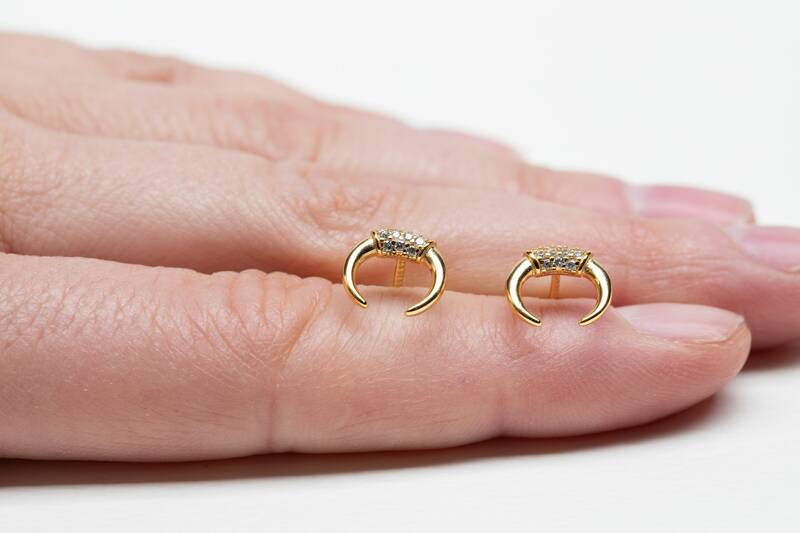 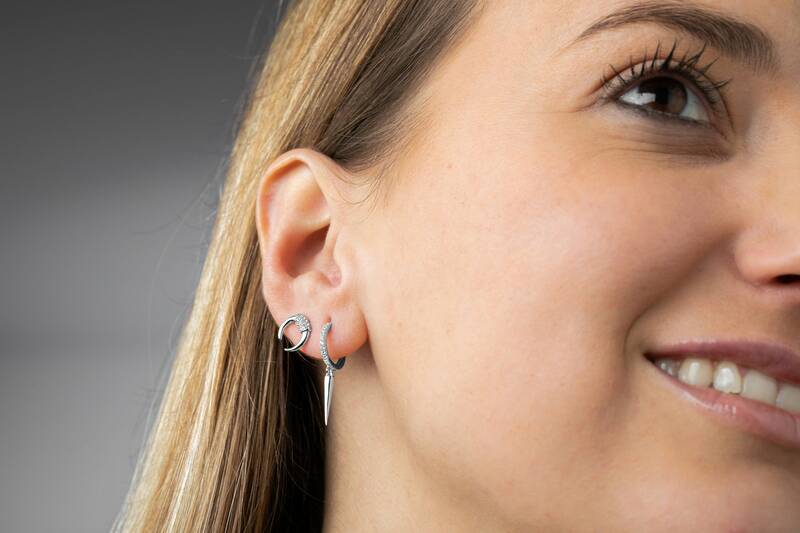 Horn earring stud inpired by the boho jewelry is perfect for matching with other dainty earrings. 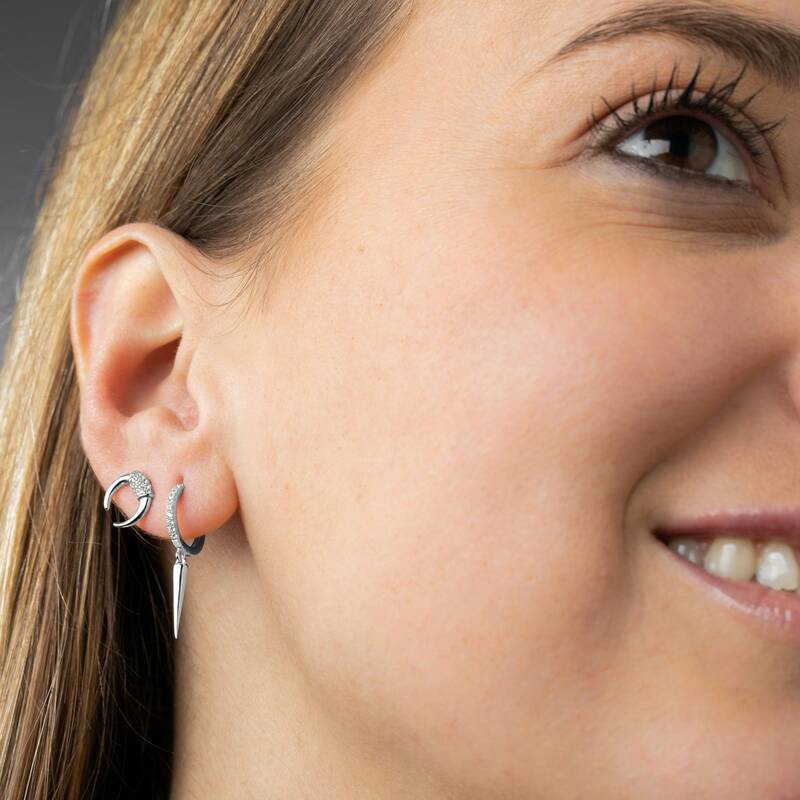 You can combine it with the charm hoop earrings you can see on the picture.